William Shakespeare's classic tragedy premiered in 1606, and is one of the world's most loved tragic works. The play follows the gradual descent into madness of King Lear after the bequeathing of his Kingdom to his three daughters. 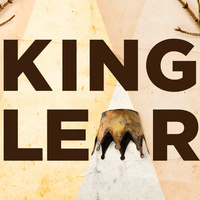 NOTE: King Lear (as in most of Shakespeare's works), contains adult situations and moments of violence. No children under the age of 8 will be admitted. Directed by John DiDonna and Tim Williams. Due to the intimate setting of the Black Box Theater, late seating cannot be accomodated. We advise arriving at least 20 minutes prior to show time.